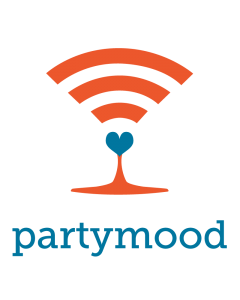 Back in 2012, we created Partymood with my friend Aurélien Monchambert. 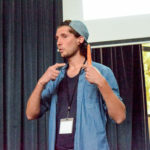 What started as a fun project at a Startup Weekend in Luxembourg became a serious journey. We worked during two years on the application with a team of three before we decided to quit. We were young, we made many mistakes and we learnt a lot! I had an old idea few years ago: traveling attending each weekend a Startup Weekend in a different city of the World! I started working on the Startup Weekend World Tour in 2014 and made it happen! I traveled 25 countries over 10 months and I attended 16 Startup Weekends & Hackathons! In January 2017, I organised with friends the first Startup Weekend in my hometown – Angers, France. We got a great success with our events gathering twice per year 50/60 attendees ready to create Startup projects over a weekend! In 2019, we will organise the 5th & 6th editions! In 2018, I started working on what could be the project I had been looking for over the past months. I created my own company : What The Hack. The objective is clearly to use my experience as event organizer to help industries organizing theirs. We mainly design, organize and facilitate Hackathons and Sprints.